Mrs. Betty Sue Yancey-Watkins was born in Memphis, TN on February 9, 1962, to Joyce Hudson and Robert Yancey. She joined her mother, father and brother Valentino Yancey in heaven on February 2, 2019. Betty enjoyed spending time with her family. She possessed a kind spirit and personality that will always be remembered. 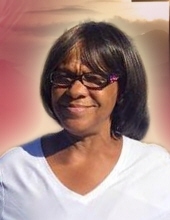 She will also be remembered as a caregiver, as she cared for family/friends who were unable to care for themselves. Left to cherish her memories are her husband Drinon Watkins, her children Tonya, Marcus (Crystal), Marvin, Perpetual, Petrell, Joyce, her grandchildren, Chelsea, Serriyah, Kendall, Cornecia, Cyranic, Journee. Betty is also survived by a host of cousins, other relatives, and friends. To send flowers or a remembrance gift to the family of Betty Sue Yancey Waktins, please visit our Tribute Store. "Email Address" would like to share the life celebration of Betty Sue Yancey Waktins. Click on the "link" to go to share a favorite memory or leave a condolence message for the family.